Sometimes it takes making at least two comedy hits to be taken seriously as a melodrama director. French Film Director, Michel Hazanavicius—mostly known for creating his series of spy movie parodies: OSS 117: Cairo, Nest of Spies and OSS 117: Lost in Rio—has recently been nominated for the coveted prize of Palme d'Or at the Cannes Film Festival earlier this year, as well as creating all the buzz for probable Oscar nominations for Best Film, Best Actor and Best Supporting Actress for his latest silent film, The Artist. As a silent film, inherently the film is also in black in white. It stars his leading man—French comedian and actor Jean Dujardin, also the protagonist for Hazanavicius's OSS parodies—the movie has received such critical acclaim all around the globe, that Dujardin who was also nominated at Cannes, took home the Best Actor Prize. The comedian-turned-serious-actor in the film, has gained deep reverence for his role as, George Valentin, a famous silent film actor during the late 20s and early 30s in Hollywood. Valentin, who becomes ousted from his established Hollywood post as the leading man, goes through a traumatic psychological struggle once the movie industry incorporates sound—injecting whom they use to refer to as, "talkies" in movies. Enter Peppy Miller, played by French Argentinian actress, Bérénice Bejo, (long time partner of Hazanavicius's; they have two kids together)—who sweeps Dujardin slowly off his feet and eventually and indirectly extinguishes his silent film movie star status, by becoming the new face of Hollywood's movies—now with sound. The silent film is executed exquisitely in a world full of blockbuster noise and 3Digital invasions. 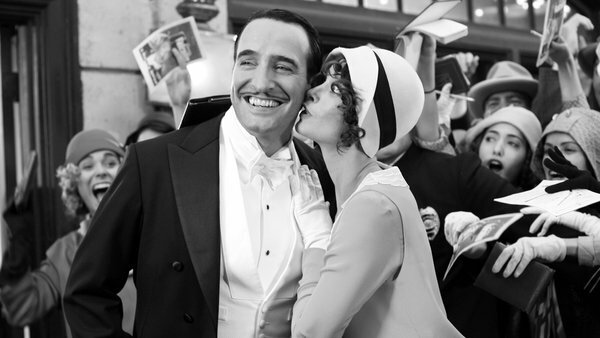 Hazanavicius pulls the extinct film making-style back to life with poise, wit, and romance. It is through his lens that we find ourselves empathizing with George Valentin, who slowly but surely struggles to keep up with a talking-movie-world, in his attempts to keep silent films on life support while using his own dime. This heartbreaking impact, not to mention a mid-life crisis by the protagonist, makes the audience mourn for silent films along with the once great silent actor. Indeed, it seems that everyone involved in the film feels the same way: Bejo recently said in an interview, "For me, there will be: a before The Artist, and an after The Artist." 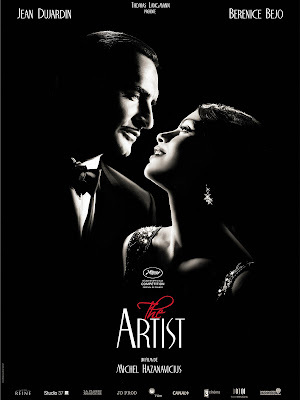 And simultaneously, Dujardin nods and says in the same interview, " And for me, too ah..." Hazanavicius has also admitted that he's been wanting to make a silent film even before he made his recent comedies. As a director whose always admired the art of silent films: The Artist is Hazanavicius's homage to this particular era and niche in cinema; and apparently, it wasn't until after he obtained success in his OSS satire movies that he was finally able to find not just funding but the moral support from other film-makers to help him revive the once dormant silent film method, which would eventually lead him to make, The Artist. There's also a lot of tap-dancing in the film, which apparently both the leading actor and actress had to take lessons for about five months to master; along with having to work with a third leading character, Valentin's sidekick dog, who also happens to be brilliant in the film. "Sometimes I had to take Uggy's (the dog) lead and sometimes he took mine," Dujardin revealed, "We did a lot of improv, and luckily we had the same character anyway." Needless to say, we highly recommend you go to the actual theater to watch this film: It is certainly a cinematic experience, a seamless uncontrived return to the classic era of pre-talkies in Hollywood cinema, and last but not least, it has the ability pull you in without uttering any words at all. Have a watch at the trailer (featured above) to have a visual taste of The Artist.